Syllabi in higher education are normally multi-page documents more akin to contracts than helpful work instructions for students. I have always applied Lean thinking to my syllabi to produce the shortest syllabi possible, given the format that we are required to conform to. My syllabi are 3-4 pages, easy to read and visually appealing, and designed to minimize errors or misinterpretation of requirements. Despite this, there seem always to be one or two students who miss an assignment completely, work on the wrong weekly homework assignment, or miss the assignment submission deadline. My efforts to mistake-proof my courses occasionally comes up short. That bothers me because mistakes affect student’s grades and require me to do work that is not necessary to do (work that is waste, actually). Students obviously have a responsibility to look at they syllabus often and conform to course requirements. But the fact is that some students to not look at the syllabus, despite being told to do so. What can be done to improve this situation and eliminate recurring errors? I started to re-imagine what a syllabus could look like, given my university’s requirement that it must contain certain things. The Lean syllabus should serve as both a visual control and work instructions, and be no more than one page (2-sided). The information should be readable at-a-glance and color-coded to highlight things of importance. 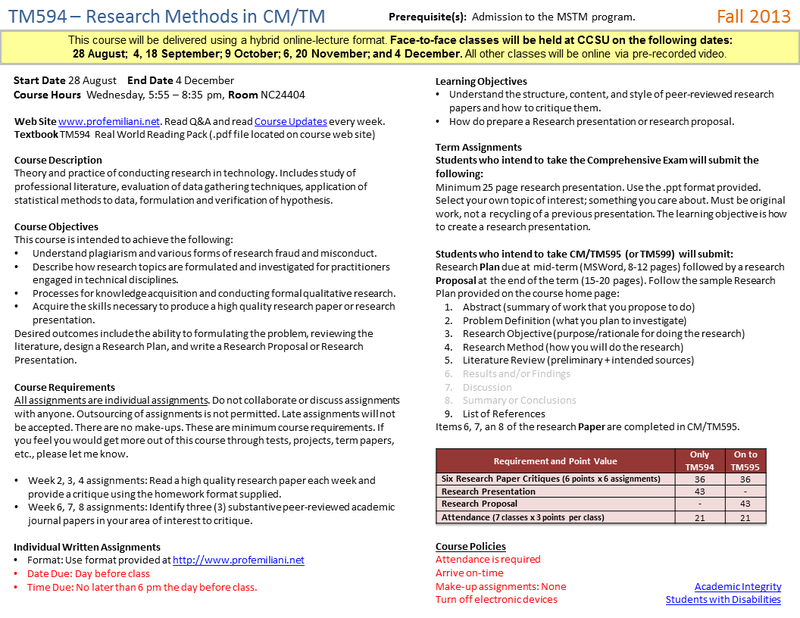 Below is a image of what page one of my Lean syllabus looks like for the graduate research methods course I teach. I showed this to my students and they liked having the information on one page rather than spread across several pages. Below is a image of what page two of my Lean syllabus looks like. 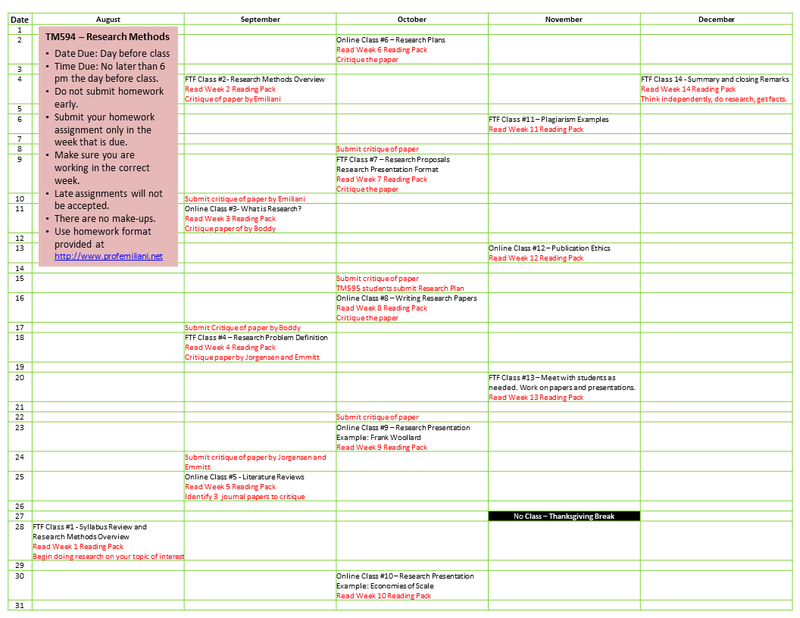 It shows the way I have been presenting the course schedule, topics, and assignments for many years, but with additional color coding and critical information shown at the top in red. I showed this to my students and they liked it. 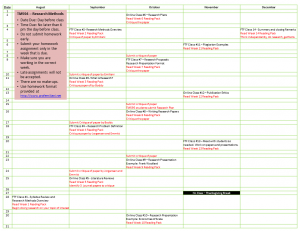 I then showed my students a second option for presenting the course schedule, topics, and assignments. I though that since people were used to looking at calendars, that this would be a much better way to show that information. The students hated it. University policy and accreditation rules require that all syllabi to be in the same format, and so I cannot replace the current syllabus with my Lean syllabus – much as I’d like to. I may give both the normal and Lean syllabi to my students beginning next semester. 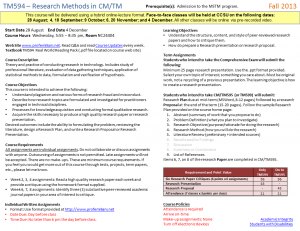 What do you think of the Lean syllabus? 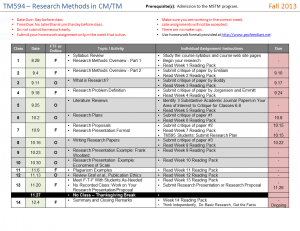 I think this is a great improvement over most syllabi I have seen (or written). 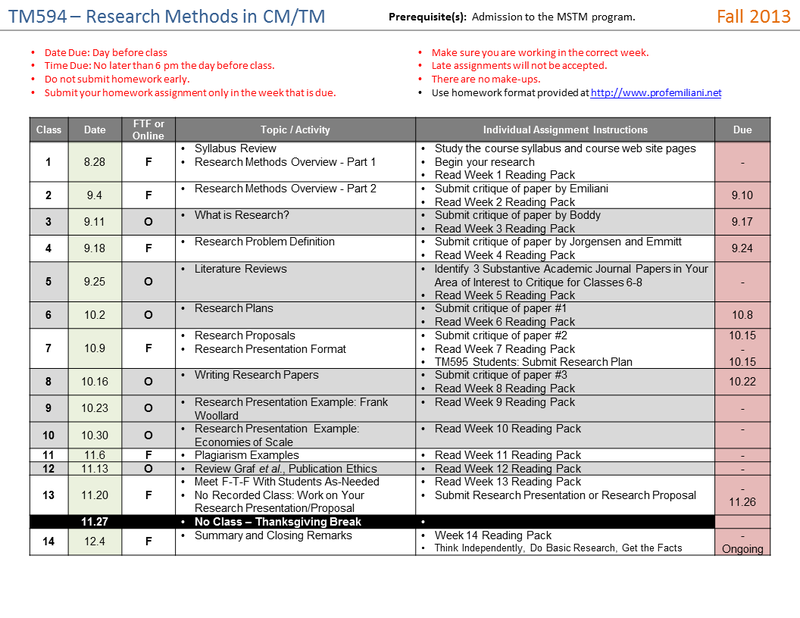 I typically create a syllabus and a separate reading/assignments schedule, however, this streamlined format is easier to follow. Thanks for the helpful ideas on your blog (and in your book that I recently purchased). You’re most welcome! I’m glad you find the blog to be helpful. Let me know what you think of the book. The visually appealing and easy to understand syllabus is very helpful for students. I had to use a very vague document supplied by the university when I started teaching. But this definitely makes everything clearer to the students and the professors. Aligning everyone’s expectations out of the course and reducing errors. It is hard to convince the administrators to change the format but as you mentioned nobody is stopping us from using the lean syllabus. This blog and your book “lean professor” has been great source of inspiration.